Sri Pendekanti Venkatasubbaiah, one of the veteran statesmen of Independent India, held many important positions in his lifetime. 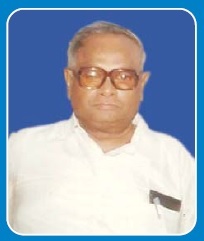 He served in the capacities of the Union Minister of State for Home & Parliamentary Affairs (1980-84), the Governor of Bihar, and later, of Karnataka. Sri Pendekanti Venkatasubbaiah was born in an affluent family of agriculturists on 18th June, 1921 at Sanjamala, a village in the erstwhile Princely State of Banaganapalli in Kurnool District of Andhra Pradesh. He took keen interest in the national movement while he was a student in Nandyal, the constituency he represented subsequently for 27 years in Lok Sabha. He dedicated himself to the national movement and fought against oppression, braving imprisonment. Sri Venkatasubbaiah was secular in his outlook throughout his life and fought firmly against all kinds of inequalities and oppression. His vision for an egalitarian and progressive future reflects in the institutions that he founded and inspired. A Gandhian to the core, he had passionate interest in Education, Khadi and Co-operation. He started several educational institutions, hostels for poor boys and Co-operative Societies.